It’s been a little over four months since we posted our Fall 2015 hearing aid update, which means it’s time for a new edition of what’s happening in the world of hearing aids and hearing devices. Each year, the Big 6 hearing aid manufacturers have two big releases of new products…a spring launch (typically around March to May) and a fall launch (typically around October to December). They not only aim to enhance the products to be better than ever, but to also differentiate what sets them apart from each other. This year is no different. Each of the manufacturers have launched an update to their line of products. 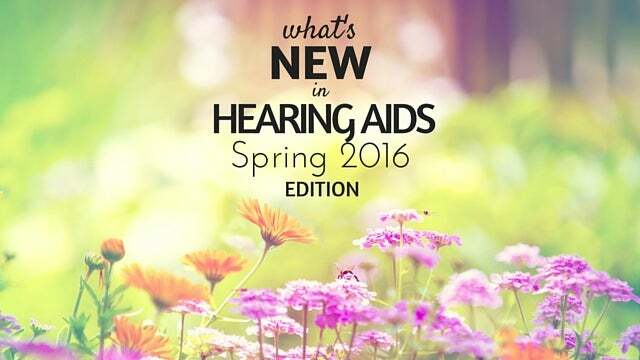 In this article, I will introduce you to what is new in hearing aids this spring. If Sivantos sounds like a new brand that’s because it was formerly Siemens. That’s old news, kind of. But, as of January 2016, Sivantos introduced a new hearing aid brand: Signia. 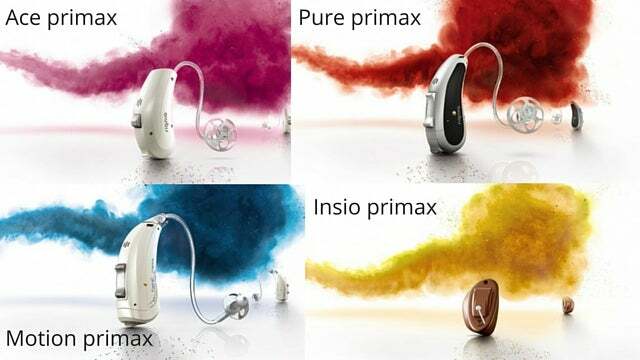 There are four separate hearing aids within the primax line, which include the Ace, Pure, Motion, and Insio. You can read more about all of them here. Starkey had a lot going on over the past several months from new hearing aids to new partnerships in the hearables market. Let’s start with hearing aids first. Starkey has upgraded its line of “made for life” hearable solutions. We’ve talked about the Halo when discussing some of the first hearing aids made specifically for the iPhone. Well, the Halo 2 is now here. The Halo 2 is a made for iPhone hearing aid that is aimed at the user that wants to directly stream calls, music, videos (or anything really) from your iPhone wirelessly to your hearing aid. You can read more about the Halo 2 here. If you have single-sided deafness then you may want to check out the Muse, built on Starkey’s new 900 sync wireless technology. The Muse comes in both the CROS and BiCROS systems and RIC and BTE styles. You can find out more about the Muse here. “Invisible, powerful, and now wireless.” That’s the tag line for the new wireless version of one of Starkey’s most popular invisible hearing aids. Read more about the SoundLens here. Last, but certainly not least, Starkey has teamed up with Bragi. If you’re not familiar with them, they’ve been working on a truly wireless earbud device that will include biometrics (heart rate measurements, etc). Starkey will be teaming up with them to make these earbud devices “customizable” using an earmold impression and custom shell creation process. It is suspected that this may lead to a hearable technology including biometrics in the future. If done well, it could be a game changer. Check out more about the Bragi Dash here. Here’s a pretty cool testimonial from someone who actually uses the ENZO 2. Lastly, since Beltone is a subsidiary of ReSound we thought we’d mention that they’ve launched a new super powered hearing aid, called the Boost Plus, for those with severe-to-profound hearing loss. Update 5/23/16: The Oticon Opn is now available! Oticon has launched a new product called Opn that focuses on tackling the difficulty people with hearing loss have with speech understanding in noisy environments. The Opn product features Oticon’s new Velox platform that is 50 times faster than the current hearing aid processors. This gives them the ability to “open up” the sound experience with their new OpenSound Navigator so that the user can hear all of the important speech sounds around them, without limiting the speech to only what is directly in front of them, one of the limitations of the current technology with directionality. The Velox chip is able to analyze and balance the sounds in the environment 100 times/sec and remove the unwanted background noise, even between words. Oticon’s new Opn product also includes another industry-first dual-wireless technology. Their TwinLink technology includes both a near-field magnetic induction (NFMI) wireless technology for fast and efficient ear-to-ear communication, as well as a 2.4 GHz wireless technology for direct connectivity to iPhones and other Bluetooth devices for easy streaming without the need for an intermediate device worn around the neck (Streamer). Plus, the Opn is also the world’s first internet-connected hearing aid, allowing your hearing aids to control things like your doorbell and lights in your home. The possibilities are endless with Oticon’s new internet-connected Opn hearing device, and users will experience more natural and effortless conversations in noise, something that has not been accomplished up until this time. The Opn will be available for you hearing healthcare provider in May 2016. No news at this time, after a big Fall 2015 launch. You can check out their new Fall 2015 products here. Phonak has rounded out their Venture product portfolio by updating their power products, the Naida, to their Venture technology. The Naida V is “now 60% more robust than its predecessor and water resistant”. The Naida V is available in a receiver in the canal and behind-the-ear style hearing aid, as well as four different technology levels, the V90, V70, V50, V30. You can find out more about the Naida V here. Phonak has also just launches their new pediatric portfolio designed with children in mind, the Sky V. It features a new program specifically designed for children that will automatically switch depending on the environment they’re in. It is RogerReady, meaning that the hearing devices will automatically activate the Roger program when the device is detected. Parents will be notified by a new indicator light when Roger is activated and when the hearing aid is on. They have also expanded their Roger accessories to focus on education and improve classroom learning and participation. Roger’s pass-around microphone, multimedia hub, charging rack, and touchscreen are designed for convenient use by both teachers and students in the classroom. Read all about the Roger for Education accessories here. That’s it for the Spring edition. Check back in about six months and we’ll have the Fall edition ready to go. Also, be sure to leave a comment below if you’ve got any questions. Nothing is mentioned about Phonak Naida V90 or V70 or V50 or V30 on venture platform. When will they be available in India? I am using Naida s5UP bte and need to upgrade to venture platform. So which unit is better the Siemens 7px or the Oticon OPN? With that said, both the Primax and Opn are new product lines from very high quality manufacturers, so ultimately either would be a good choice. How will you compare skyv and oticon for a 18month boy? Both are pretty new and omnidirectional, isn’t it? which hearing aid is better for severe to profound hearing loss- Phonak Naida V90 UP or Octicon Opn hearing aid? Currently the Oticon Opn is not available for severe to profound hearing loss so I would recommend the Naida V90 for now. However it’s likely the Opn will eventually be available in a style for severe to profound losses. What do you think about phonak sky v versus oticon? both are omnidirectional isn’t it? Does oticon cpu is better than phonak? Does voice in noicy environement is better? Music? The Phonak Sky V and the Oticon Sensei Pro are very comparable products. Oticon has two levels for kids, the Sensei Pro and the Sensei (Sensei Pro being the more advanced level). 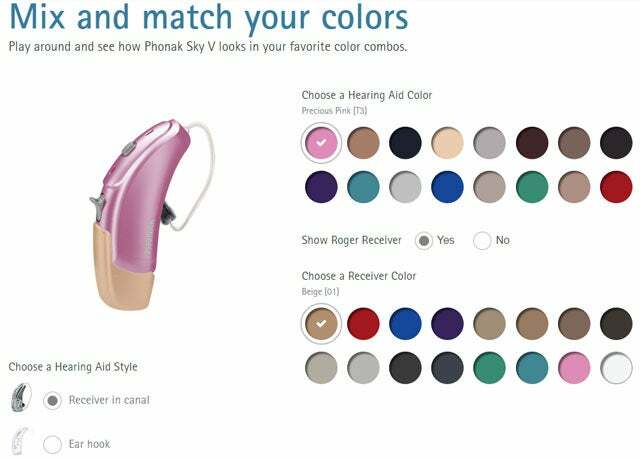 The Phonak Sky V has three levels, the V90/V70/V50 (V90 being the most advanced level). When comparing the Sky V90 with the Sensei Pro, the Sky is newer and has a higher IP rating, making it more water and dust resistant. They both will perform well in noisy environments, and both have the ability to be omnidirectional. Does Phonak makes whistling when cupping the hearing aid? ?I had octicon and it doesn’t whistling but I had issues with sounds. Which hearing aid would you reccomend for profound high frequency loss for someone who is new to hearing aids? It is hard for me to say…what is the status of the low frequency hearing? Is it normal? If so, I would recommend an open-fit receiver-in-the-ear style hearing aid. My hearing loss is significant in the high frequency range, but within the normal in the low frequency range. I had Oticon ‘Dual’ hearing aids & lost one. I had not found the ‘correction’ with the Oticon hearing aids to be significant. I understand that in the next few months that Oticon will be releasing new hearing aids. *Would you recommend buying Phonak V90 hearing aids now, or waiting to buy Oticon upgrade later? *More than that, you have an opinion about the quality of the Oticon vs. Phonak? **Also Phonak has a microphone (Roger) units that it says can work with other hearing aids. *Does Phonack’s “Roger” work with Oticon hearing aids? *Do you think it would it help a profess understand his student’s questions? The Oticon Opn hearing device is now available, and I would recommend giving that a try. The Phonak Roger pen will not work with it but you may find that you don’t need it with the new Opn devices. which hearing aids is better-phonak naida V 90UP with roger pen or resound enzo 2 9 bte for severe to profound hearing loss? Hi! That’s a tough question to answer. I would recommend you go to an Audiologist who is familiar with both brands and see if you can try each one. However, you may benefit from the Roger pen with a severe to profound loss, which would lead me to lean more towards the Phonak. Thank you for your website as this was really useful. I need some advice on the streaming/mobile phone accessories from these manufacturers. I use/need a cross/bicross hearing aid but am looking for the best solution to have clear and loud calls on a cell phone. I am currently using the Phonak compilot which is not very good (difficult to pair/ not loud enough/people hear a lot of background noise when speaking). Hi, does the new Oticon OPN come in a Cros/Bicros? 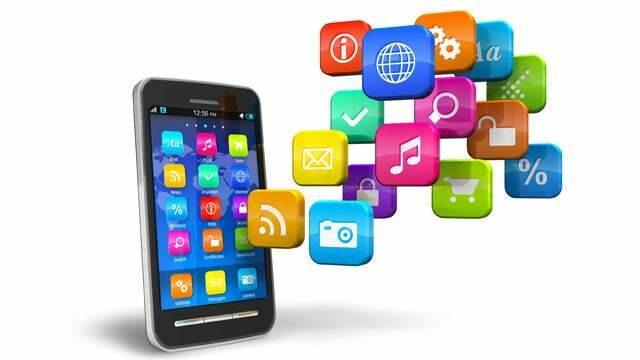 Was really interested in it with the technology that goes directly from the iPhone to the hearing aids. If it’s not possible I was looking into Signia primax. Would starkey be better? Hi Todd. No, the Oticon Opn does not come in a Cros/Bicros option. You can’t go wrong with either the Signia or Starkey. I would recommend trying to go to an audiologist that works with both manufacturers so you can get their input for your specific needs/preferences. When can we expect your fall issue? I am about ready to sign up for my first hearing aids. I have high frequency hearing loss and I’m leaning toward the Oticon because of OPN and its iPhone connectivity without having to wear something to get it. Now I read about the Phonak with a lithium rechargeable battery that I hear may be significantly better that past rechargeables. My impression is that Phonak is also excellent for high hearing loss but that its iPhone connectivity is inferior because you have to wear something. I would appreciate your reaction? To answer your other question, right now the Oticon Opn is probably the best hearing aid on the market in terms of wireless connectivity. I have single sided hearing. Deaf R and 40% loss L. I’m currently using a Starky 5 years old. Looking for a cros, I like to be able to connect directly to blue tooth devices. I am also totally blind. I recently trialed a Phonak Sky v 90. I loved the cros. However, I may have expected too much but I didn’t find the clarity sharp. In a noisy environment I couldn’t hear anything.Mostly high frequency hearing loss. Which device would you recommend? I’ve just found all the information. Grand. Hi Bronwyn. If you have done well with the Starkey aid for the past 5 years then I would consider trying their new Muse CROS device. Widex and Signia also have CROS options if the Starkey does not work well for you. Hi! I’ve been wearing hearing aids for decades and have used several different brands. Have always worn BTE types due to profound hearing loss. Until about 6 weeks ago, I was wearing Oticon for appx. 7 years and came to the conclusion that I needed something stronger. I visited the same dealer where I bought the Oticon aids. I was fitted with Starkey and loved the lightweight feeling, but they were not strong enough for me. Now I’m trying Unitron on a trial basis and I love that they are stronger, but they are not comfortable at all. I have had the earmolds replaced & refitted & still experience a great deal of soreness. Mainly from the wires over my ears, but I also have soreness inside both ears from having to adjust the earpieces to fit properly. This is so upsetting for me as I cannot hear hardly anything without aids & I want to be able to wear them more than a few hours a day! Do you have any suggestions? Are there any powerful ITE types out there for profound hearing loss? Shopping for aids is worse than shopping for a car! Any help that you can give me will be greatly appreciated. I would recommend that if you were satisfied with your previous Oticon aids that you try a stronger, more updated Oticon model. A lot of time the transition is much easier when staying within the same manufacturers product line. Depending on the severity of your hearing loss…you may want to ask your audiologist to consider the Opn miniRITE with power receivers, or the Dynamo super power BTE. If you truly have a profound hearing loss I would not recommend an ITE model. They will not provide sufficient power for you no matter which manufacturer you try. Hope that helps! Hello, i’m about to change my hearing aid and i’m leaning more towards the Opn from Oticon, i’m a young male with hearing deficiency on both sides, i’ve learned that the Opn does not have the CROS/BiCROS technology, would this be enough reason to consider the Insigna from Siemens instead ? If you have hearing loss on both ears then you should not need a CROS/BICROS option, unless one of your ears is completely deaf with no speech understanding. In your case it sounds like the Opn is a good way to go. Hello. I’m attempting to compare the phonak virto v70 with the starkey muse i2000 itc. I work in noisy social settings, an office, and then lecture or testify in large auditoriums and hearing rooms. Appreciate any insight you could offer to a better or perhaps more appropriate product. Hi, Im looking to see what would be a better option for my 8 yr old that has mild to moderate sensorinural hearing loss in both ears. He has a high frequency loss. 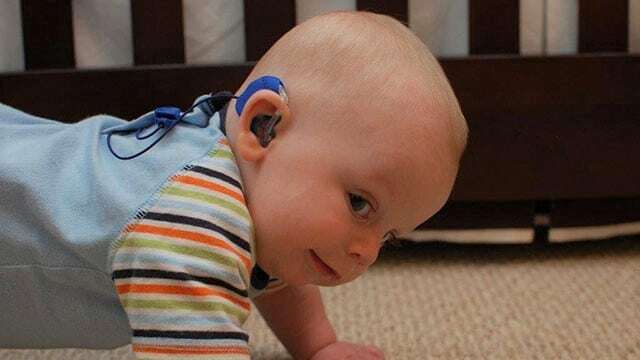 He has been aided since 4 months old and has worn Oticon Vigo Pro for 4 years and Oticon Safari 600 currently. He uses a FM unit at school as well. I am looking at Phonack or stick with Oticon. I know new hearing aides are released in Spring and Fall. We are looking to buy this year. When should we buy and what would you recommend? If your son is doing well with the Oticon hearing aids then I would recommend updating him to the Oticon Sensei Pro hearing aids. It is better to stick with the same processing strategy that he is used to. Are Oticon OPN hearing aids any better than state of the art top end BTE Phonaks. Particularly in two areas…1) For singers and 2)For understanding speech in noise. I find that certain pitches are distorted with my 3 year old Phonaks even on the ‘music’ setting (ie: I hear a some of the lower pitches one semi-tone higher than my actual voice- resulting in me singing those notes flat). I don’t know the model but I was told at the time that they were their top end model. By the way, I have moderate to severe hearing loss in both ears, primarily in the higher pitches. I also wear Custom earmolds with a hole in them to help combat the ‘closed in’ problem. Standard phonak tips were either too small and leaked sound or too big and excruciatingly painful. Also, hearing speech in noise is practically impossible with my Phonaks. I now avoid eating out, participating in choirs, or going anywhere with background noise. Is this a common complaint with phonaks? With Oticon? The Oticon Opn has a very fast processing chip that can handle speech in noise. The Opn1 and Opn2 levels also have something called Clear Dynamics which helps improve the sound quality of music. I don’t know which specific Phonak model you wear, but at this point the Oticon Opn is one of the best when it comes to music quality and speech understanding in noise. I would recommend you give it a try. Ask your local office what their trial period is. Hi, I really appreciate your effort and the support you are providing for hearing impaired persons. This has encouraged me to write in this blog. I have severe to profound deafness in both ears. Currently I am using Widex mind 330 and I am not very satisfied with them. Being a pathologist by profession, i am involved in lots of telephonic conversation and meetings. In view of the hearing loss I have, please suggest which hearing aid will be suitable for me. Phonak Naida V90, Oticon OPN or any other? Somebody told me that due to severe hearing loss, I am not going to have much benefit with even the best hearing aids. Is this really true? I have been wearing Siemens behind the ear for 15 years. Clarity is a problem for me. If I turn them way up it is better but they squeal if I lean my head back on the couch. Would the new Signia be a better choice? which one is better in terms of specification & perfomance?